How would an investor and a businessman fight a war? Investing is business and business is investing. They are synonymous to one another. They are related in terms of the characteristics they have. Let me explain further. Many people would say that doing business is the way to get rich since being an employee and a slave to your company will only make the company richer but not yourself. I would say there is some truths in this but of course we know only a few businesses succeed in the end. You either make it or lose it. Older people would say doing business is risky. Young people who have got nothing much to lose are willing to take that risk. If they succeed, the rewards are extremely great. Some other people would say invest in the stock market and you can get rich. Being a shareholder in a company makes you effectively higher than the managers, the vice president, the managing director and even the CEO in the company. No? Try going to a company's AGM and ask the CEO questions. In fact, the company's top management knows they are working for the shareholders. Investing in the stock market is risky too. You may have heard your grandparents or your parents caution you to avoid the stock market. They are right in a way. Invest in the right company and you will make money but invest in the wrong one and you can potentially lose all your money. So which is more risky? Doing business or investing in the stock market? Many people separate business and investing which in my opinion is a wrong way to look at it. How do people separate it? Firstly, some businessman say investing is risky and they are afraid to invest now as the market looks like its going to crash. But at the same time, they are still doing their business. Won't their business be affected when the market crashes? Yes it would affect but they have backup plans and they are prepared for it. Secondly, some investors say doing business is risky and we shouldn't start a business now because the economy doesn't look too good. But at the same time, they are still invested in the stock market. Won't their investments be affected when the economy declines? Again, the answer is yes but they too have backup plans and they are prepared for it. To eliminate risk, we need to have proper risk management. The backup plans are part of the risk management procedures which successful business owner and investors have. The 2 different backup plans are actually similar in concept. 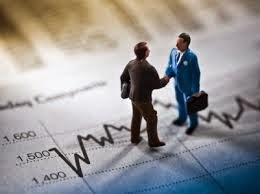 Business people still do business even though they may expect the economy to deteriorate next year. They just reduce their exposure of risk by managing their expenses. As profits can hurt badly during an economic crisis, businessman can hold more cash and moderate expansion plans in anticipation of the crisis. When crisis hits, they will be able to tide it out and even find opportunities for expansion at much cheaper prices. Similarly, investors still invest even though they may expect the economy or market to deteriorate next year. Investors reduce their risk by moderating their purchase of stocks and hold more cash in anticipation of the crisis. When crisis hits, they will still be able to live normally and also find opportunities to buy good companies at much cheaper prices. It is impossible to time the market. No one can be certain of what will happen in the future. Even the best economist or the best financial/business analyst can have their predictions wrong. If we are always waiting for the right time to start a business or start investing, most likely we'll never even start at all. In 10 years time, you'll still be waiting. The correct way is to start now but always have a backup plan in case a crisis hits. Don't throw all your money in to start a business or invest in stocks. Always have a stash of cash ready to deploy when crisis comes. Even in wars, generals do not send all their soldiers all out at once. If all get killed, they have nothing left. They send out troops assigned to do different task in different batches. This way, their chances of winning will be much higher. 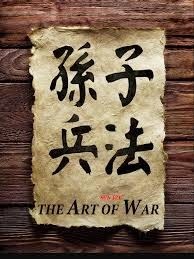 This is the art of war. The art of doing business and investing lies in asset allocation. Your cash is like the soldiers which you can deploy. Break them down into different troops and deploy in batches. No matter what, always have one reserve troop on standby. This will only be used when the enemy is at its weakest point and the battle is a sure win. This is like a war chest which we keep to deploy when the market crashes and there are lots of opportunities to buy good companies at extremely cheap prices. Want to own some properties and collect rent using little money? Here's how. We've heard of people buying properties and renting them out. This seems like a good way to have an extra income every month. The only problem is properties especially in Singapore are getting more expensive. If you want to buy one and rent it out, it will cost you a few hundred thousands dollars. You can loan the amount but even the down payment is at least a 5 figure sum. There are also lots of paper work and legal fees involved so after all, it may be too troublesome and not so worth it for us. 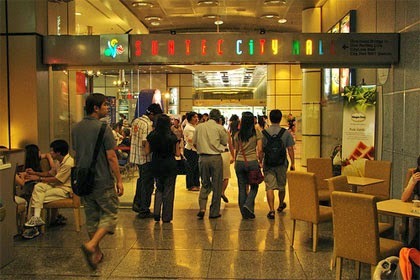 Have you heard of Suntec or been there before? I'm sure you have if you live in Singapore. Suntec REIT owns their majority of properties in Singapore. This includes the Suntec shopping mall, the Suntec convention centre, the various Suntec office towers, a part of Marina Bay Financial Centre etc. If you buy the shares of Suntec, you are part of the owner of these properties and you are paid rental income from these properties. How much will you be paid? You may not heard of Saizen REIT before as all of its properties are in Japan. They own a portfolio of residential properties. All these properties are rented out and a portion of the rent collected are distributed to shareholders. Sounds like renting out your house for extra income? I bet it is. 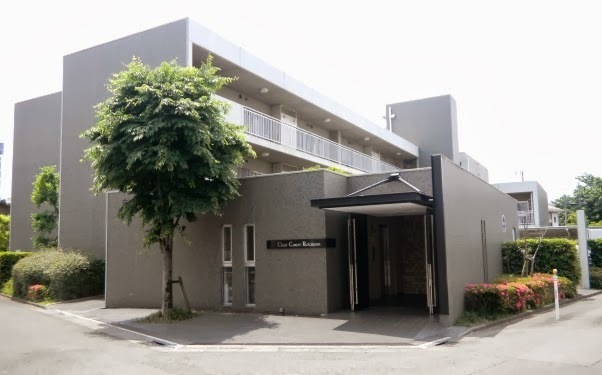 Saizen REIT owns a portfolio of over a hundred properties spread across Japan. You can own a part of all these from as low as $1000. Sounds like a good deal? The yield of Saizen REIT works out to be around 7.1%. Better still if you bought at the current price of 0.885, you are owning all these properties at a discount. The net asset value (NAV) shows us the fair value of the properties which Saizen REIT owns. The price of 0.885 is lower than the NAV of 1.17. This is a 20%+ discount to its value. Who doesn't like buying properties at a discount? When we buy a house of our own, i'm sure many of us will find the best deals with a good location. If you're buying the property to rent out, you would naturally want to buy one which has a good location so you can rent it out at higher rates. If you can buy the property at below market price, that would be even better. But certainly you would not want to buy a property above the market price. When we invest in REITS, its the same analogy. Buy the REITs below its NAV if possible and the properties should be in good locations fetching good rental income. From its annual report, we can see the properties occupancy rate, their locations etc. These are valuable information to look out for. Reading an annual report can be liken to reading a brochure of a property launch. It's fun and exciting sometimes. Stock prices can fluctuate but it does not reflect the true value of the properties that the REITS own. It's more important to focus on the value of the properties and the income which it produces. In the long run, all else remaining equal, the stock price will reflect the true value of the properties it owns. Investing in REITS can surely bring you that extra income. Not a lot but still better than nothing. However, when you have more money, it can become a lot. Invest $500,000 at 7.1% and see what kind of income you get. You'll be surprised. Children are generally very good at imitating behaviours of their parents. Parents should always try to practice what they preach in order to succeed as good role models. Teaching children the value of money and how to manage it well from a young age will help them become responsible adults. The same way a child is taught to eat and behave in the right manner, he should be taught to be responsible with money. 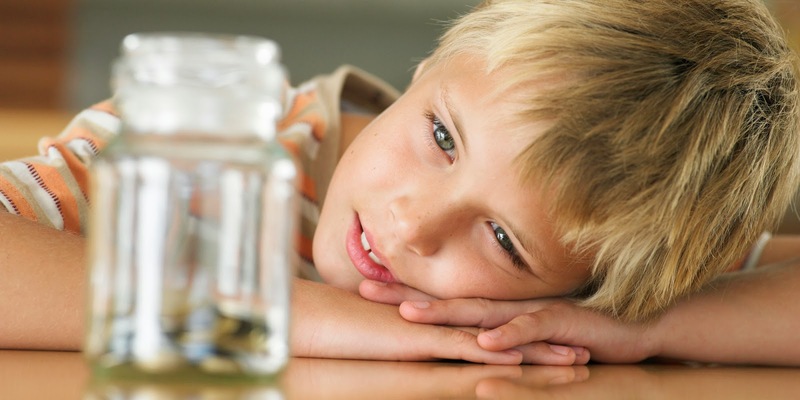 Here are seven tips which children can be taught to manage money better. Playing shopping at the grocery store is one of the oldest games parents play with kids. They learn the concept of purchasing and denomination of money to some extent. Teach young kids to go and make small purchases and then count the left over change. 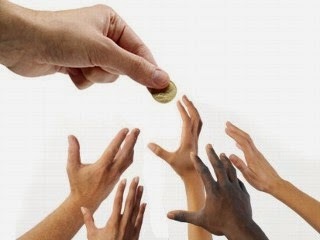 Start by giving a small amount as pocket money to your kids. Lay out clear guidelines of what and what not they can buy with it. If you give an allowance as a reward for a household chore, they will clearly understand the concept of a job and salary. Dedicate two jars as spending and saving in the house and let them decide how much goes in which. You can open a bank account for slightly older children and allow them to do the saving themselves. Explain the concept of savings to them. There will be mistakes even after the rules so be ready for them. Resist the temptation of fixing their errors by dishing out more money. Private tutors in Singapore are doing a great job in advising families on money management. Let the children voice their opinions on their age related money matters. Respect their idea and let them feel heard. Plan a project like choosing a board game for the house, where they do the research and comparisons. Always teach them to keep aside for the less fortunate and have compassion for them. Let them be thankful of what they have. Always try to be a god role model for them to follow in your footsteps. Brush up your own skills before giving the wrong information. Many times, most of us think that the poor and rich live in different dimensions of life. The rich seems to have their own group of peers and the poor have their own group of friends. The poor have their own impressions of the rich and think that becoming rich is too far a place for them. What happens if the rich and the poor's path happen to cross? When they meet each other will they be able to interact well? There's this new Hong Kong drama on channel 8 which interestingly shows the life of 2 different people. One is poor while one is rich. When i watch it, it seems exactly like how two different dimensions of people behave. The drama is titled L'Escargot or in chinese: 缺宅男女. It is shown on Mediacorp channel 8 every Monday to Friday at 7pm. The show starts off with a family of 9 living in a small apartment. As they are quite poor, they have to share rooms and even think of ways to save money. When they didn't have money to buy a shoe cabinet, they use plastic holders to hang it on the wall and paste each family member's name on each plastic holder. They were still joking that each person can only buy one pair of shoes and if you want to buy another pair, then you have to throw away the first one if not there will be not enough space to put. On the other hand when the rich wanted to buy a shoe cabinet, they didn't even have to think of the cost and just bought a huge shoe cabinet which can put hundreds of shoes. There were many other cases of how the rich and poor live their lives differently. But when their paths crossed, interestingly they had the same principle of life. Both were responsible in what they do and never go for petty gains. The poor even though they are poor, still had backbone when it comes to money. They will never accept money which oppose to their principle of life. The poor thought that the rich go for petty gains that's why they became rich but in the end, they realised that the rich also did not cut cost just to earn more money. This was what the whole drama is driving at till now. What happens later will be for us to see. How the drama acts out life in such a realistic way is really commendable. Watch it if you're interested. The pursuit of money or happyness? The word happyness is purposely spelt wrongly if you realised it. 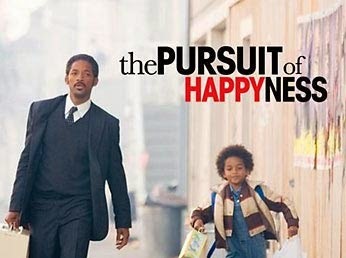 If you've watched the movie or read the book before, you would know that "the pursuit of happyness" exist. This was a movie based on a true story that was shown quite a few years ago. Till now, it's still one of the most inspirational movie. Many people say do not chase after money. Money is not everything but everything is money. If you have bills to pay and food to put on the table, you need money. 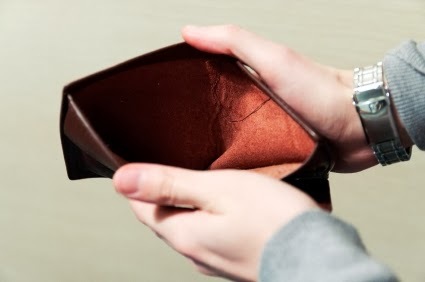 Instead of complaining that you do not have enough or because you're married young that's why you don't have much money, why not do something about it? You can't change your circumstances but you can change yourself. Now, some people would start to say if i work so hard for money, then wouldn't i need to sacrifice family time? Wouldn't i need sacrifice my health? Rich people don't have time right? This is a very big misconception. The movie "The pursuit of happyness" tells the story of a young homeless man roaming around the streets with his young son. They have no place to stay and often slept in one of the toilets in a subway station. This man worked very hard as a medical equipment salesman but most of the time he didn't manage to sell any. He was desperate to get food for himself and his son. In this desperate state, one day he was walking along the streets and he noticed everyone smiling. He thought to himself why are all these people so happy? Then, one rich man drove a Ferrari and parked his car beside him. He immediately asked the rich man 2 questions which changed his life. The 2 questions were: What do you do and how do you do it? Many people who are not rich yearn to be rich one day. That's why you see long queues outside Singapore pools when there is a TOTO lottery ticket grand prize. You see the casinos flooded with people. But the way to get rich is actually very simple. Just ask the rich how they got rich!! You may be thinking here i'm talking about getting rich and now i'm telling you not to chase after money. Isn't getting rich all about chasing money? The answer is no. Money is not the main product. It is the by product. Chase after your passion and learn to create value. By doing this, the money which is the by product will naturally come. Most of the rich have found what they like to do. They have dreams and go for it. When people tell them they can't do it, they still believe that it can be done. When the rich do business, they don't focus on making money but focus on creating value for their customers. When the rich invest, they also don't focus on making money but they focus on the value of the business. Go for your dreams, find your passion and excel in it. This is the pursuit of happiness. I'll make this post short and end of with an inspirational small part of the movie: "The pursuit of happyness". Money, money, money is what a lot of us are concerned on. When we enter adulthood, money becomes an essential and a common topic too. Had an interesting discussion on the comments section of my blog on my previous post: 35 and totally broke or $100K savings by age 30?. There were lots of comments by a few other bloggers which really set my mind thinking. Coincidently, i was having a long chat with a few of my colleagues on the topic of money too. I'm single now and have a simple and low maintenance lifestyle. A few other people commented that it's easy to save money when you're single but it'll be hard when you get married. This i agree and this is also what i've been thinking about. If your future wife and in laws wants to have a lavish banquet, can you refuse it? If your wife wants to buy a 5 room flat can you refuse it? If your wife is pregnant and wants to buy a car for more convenience will you refuse it? Most probably you will give whatever you can. With the cost of buying a house and starting a family increasing, it is hard for these people to save money. It is hard to even plan for retirement when all your salary goes into household expenses. I really don't want to be just surviving for the sake of living and end up working my whole life still having not enough. Let me share with you a little bit on the family background which i come from then you will know why i have this thinking. I come from a normal family with simple lifestyle. My parents are both not highly educated with my dad having only an O levels cert. As my parents income are not high, often they had to work long hours just to provide enough for the family. When i was young, i remember always seeing my dad asleep whenever i was home. He was working the night shift also. Of course i didn't understand back then but now i know how tough it was for him. My mum had to work all the way even when she was pregnant with me. The reason why my dad was not educated is because he had to give up his education to work and provide for his family of 8 siblings. Yes, my dad's family had 10 members. Life was tough for all of them and i heard stories of how 10 of them stayed together in a 2 room flat back then. My dad went out to work and all his salary went to the household expenses. Yes, all his salary went to his parents and nothing was left for him. Not a single cent. With this, the rest of his siblings manage to get the education and most of them went on to university. Today, my uncles and aunties have a fairly high income. One of my uncle earns $12k a month and another uncle stays in a million dollar condo and drives a luxury car. In fact, all my uncles and aunties own at least a car. My dad never had the money to buy a car. Which means my family never had our own car before. I know my dad feels inferior when talking to my uncles and aunties now. Of course they are grateful for my dad who sacrificed to see them through their education and they always treat my family for dinner and also offer to give us a ride. But still, it's never the same of owning your own car plus you feel bad when troubling other people to give you a ride. My mum had gone through all the hardship with my dad and they are still together till now. I know they put their hopes highly on me that one day i will be able to give them a good life. That's probably why i'm looking at ways to have more money so one day i could give my parents the good life they desired. My parents are getting old but they are still working. I know in my heart that probably in a few years time, they will be too old to work. I have the responsibility to take care of them. My parents definitely do not have money to retire. I also know if i get married, i will have my own finances to take care. Will i have enough money to handle all these? This is probably why i'm thinking so much. If i do not have enough, i'll probably end up like my dad and sacrifice so much for the family and in the future, my kids will go through the same thing. This is what i do not want. That's how the poverty cycle happens. My conversation with my colleagues was on how some rich people can don't work and still be rich? In the course of my work, i get to visit luxurious condos and private properties. One thing i always notice is most of the people staying there are at home. They are either swimming, enjoying their time at their balcony, or wearing shorts and getting ready to drive out in their big cars to shop or have afternoon tea. I thought i was seeing wrongly until one day, a security guard at the condominium told me that he too always see the people at home. They seem like they never had to work. He also wondered where they get their money to stay in these condominiums. One unit there is not just 1 Million. It's 7-8 Million dollars per unit. Today, as i was telling this to my colleagues, one of them then said his neighbour drives a Mercedes and seems like he never works. He was curious so he asked his neighbour where he got his money? His neighbour replied he manages his own investments and owns a few properties. This brought us to the point that these people make money work for them. They don't work for money. Many of us know this but how many of us can really do it? Can we make money work for us instead of working for money? If we can do that, then we might be one of those people who don't work but still have money. Oh yes, one more thing my colleague said. He said seems like those people who worked the hardest have very little money and those who don't work much have a lot of money. To think of it, it seems quite true. Working smart is better than working hard in this world. 35 and totally broke or $100K savings by age 30? I feel I have the responsibility to spread the message of financial prudence after seeing yet another article of people going into debts even when they are in their mid 30s. Here is the article on Asiaone: 35 and flat broke! On the other extreme, there was an earlier article on the straits times which shows how a young person can save $100K by the age of 30. Which one do you want? You decide. Let's continue with the people who're in their mid 30s and are in debt. These people are not low income earners. In fact, they earn over $4000 a month. Some as high as $6000-$8000 per month. 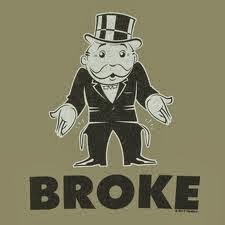 The curious case of being broke? The first person is a 35 year old who earns $5000 monthly. This person has no savings and is $20,000 in credit card debts. The second person is a 38 year old who earns $6000 monthly. Owes credit card company $7000. The third person is a 33 year old who earns $4000 monthly. Has credit card debt totalling $15,000 which was accumulated since 2007. There were several instances where she was flat broke and has to walk one and a half hour from her office back home because she doesn't even have money to take a bus or MRT home. The fourth case is a couple of age 34 and 36. Both are lawyers and have a combined income of $17,000. This amount of salary is an envy for many but they still can get into trouble. Currently has debts amounting to a couple of hundred thousands dollars. They said the debts will probably take them 3 years to clear. Are you in trouble of debt? There are already 4 cases in just one article. Who knows how many other cases are there out there? The main problem i see is in their lifestyle. Most think since they have a good income, they can spend more and live an extravagant lifestyle. All of them know their lifestyle is not good for them but they can't control it. This has become a habit and to be honest, habits are hard to change. What these people need to do is to simply change their lifestyle. How easy would it be i would never know because i've never been in that position before. This brings me to the point that we should all realise how bad this kind of situation is and prevent ourselves from sinking in. If you have kids, teach them how to budget and manage their lifestyle at a young age. Don't let them be used to an extravagant lifestyle even though you are rich. Teach the value of money to them. If you're still studying and about to graduate, keep your lifestyle in check now. Once you graduate and get a job with a good pay, don't keep thinking of where to spend your money. Save a portion of your income first and keep track of your expenses. If you're getting married and planning to buy a house, know the cost involved and plan for it. I've written articles on the cost of marriage and buying a house. You can read it using the links above. $100K savings by age 30? I say it is possible because i'm on my way to my first $100K by age 28. My lifestyle is simply taking bus and MRT everyday. No cabs unless i'm in a rush or its midnight already. God knows how many months I haven't taken a cab now. Transport cost is only $80-$100 per month. Everyday, i eat at coffee shops and hawker centres with an average price of $3-$4 per meal. Once every weekend, eating at cafes or watching movies at cinema would be possible. Averagely, I spend $25-$30 per weekend. Seldom do I eat at posh restaurants. Some weekends I stay at home to study or relax so no money spent also. Every month i give my parents 10% of my salary for household expenses. Mobile phone bills is only $25 for me as my company subsidise most of the cost. Other cost like buying clothes, travelling, occasional treats for my family and gifts for friends will amount to roughly $1000-$1500 per year. One thing I have to admit is I seldom buy clothes and even if I buy, I will buy at a discount. With this lifestyle, i can save more than $20K per year. This is the interesting part. I hope this will change your views on savings. The purpose of savings is not for you to bring into your grave. It is also not just for some rainy days which your parents might have told you before. Don't get me wrong, saving for rainy days is important and you should prepare at least 6 months of your expenses in savings. The key point is money can grow money. It is like a seed which when planted, can grow into a tree which bear fruits. 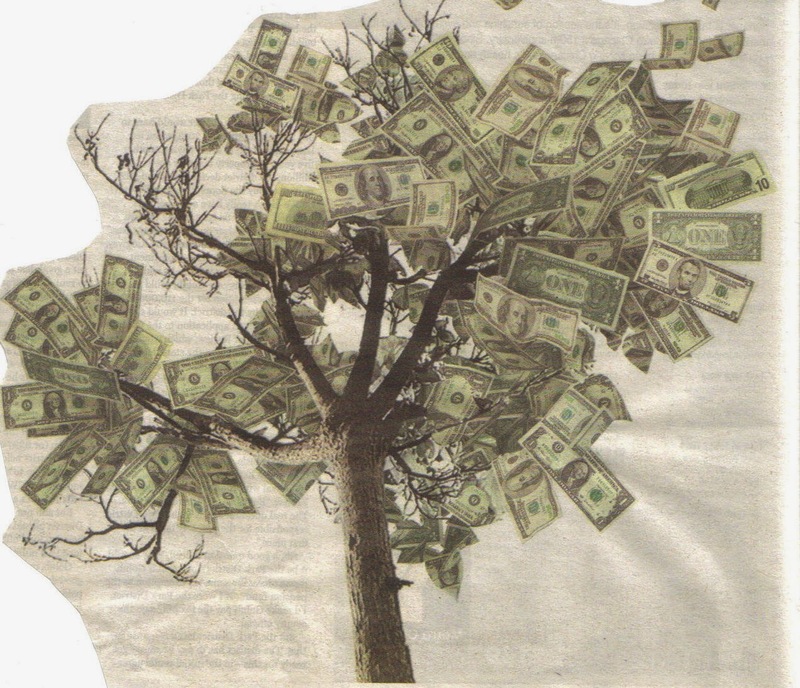 Yes, money does grow on trees if you plant it. Have you heard that a seed can grow into a tree and the fruits can produce even more seeds which can grow into even more trees? This is primary school science. I bet your teacher didn't tell you about the money seed. The concept is easy to understand. To implement it is another knowledge which you have to learn. Just like a farmer who plant seeds in his land and waits to harvest the fruits or vegetables. He has to understand what type of soil is needed, what type of fertilisers to use, how much water to give?, when to harvest? etc etc. It's the same with money. When you invest it, you need to know where to invest, how to invest, how much to invest, when to sell, when to buy etc. I hope you get the idea. If the money tree grows well enough, one day you'll be able to stop working and still have enough money to live your life. This is financial freedom. Delayed gratification is necessary for financial prosperity. Sometimes a simple lifestyle may make you happier too. No money problems, more than enough to spend, no unnecessary debts will certainly make you happier. I did write on delayed gratification some time ago. You may want to read this: A generation of instant gratification - The cause of unhappiness. Do you want to own a condominium but be under the burden of huge debts or have a simple house with manageable debts and be happier? Your happiness depends on the decisions you make. Don't ruin your future because of the lack of planning, knowledge or some wrong decisions. Choosing the right lifestyle may well be the most important choice in your life. Choose wisely. Yongnam just announced they have secured S$54.3 million in subcontracts for structural steelworks. One of the contracts was for the construction of structural steelworks for the new Changi Airport Terminal 4. 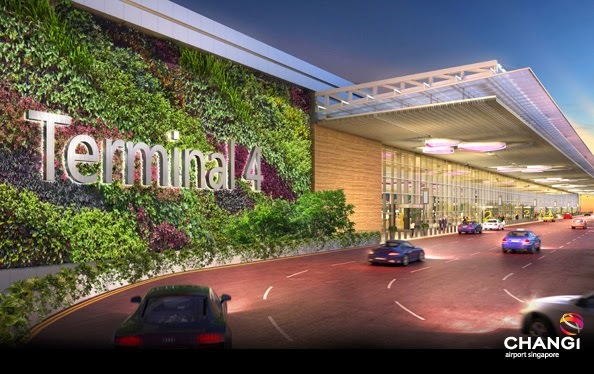 Yes, Changi Airport is building the fourth terminal. Sounds like a big project? I'm glad Yongnam is part of it. Another project was for the redevelopment of the UIC Building along Shenton Way. Both projects are expected to complete in 2017. This sounds like good news to me. Indeed Yongnam's good reputation has secured them another grand contract in Singapore. More contracts are expected to come. "The subcontracts are expected to have a favourable impact on the Group’s financial performance for the year ending December 31, 2014." I first went to Vietnam in the year 2007 and I stayed there for 3 whole months. I was only 19 years old back then and that was my student internship. I will never forget this unique experience that I had which opened my eyes to the world. The first thing that caught my attention was the airport. The plane landed in the middle of nowhere and we had to take a bus to the immigration checkpoint area. This was exactly the airport which I first saw in 2007. Next was the busy streets with many motorcycles touting their horns. I was wondering how did all these people drive in this kind of road conditions? It was just simply amazing. Here comes my first dinner in Vietnam. Simple steamboat dinner. Very healthy with lots of vegetables. Then there's this exotic snake in a bottle which they treat as wine. I travelled all the way from Ho Chi Minh city to the small town of Long Xuyen. It was about 5-6 hours drive and in between, the whole car went on a ship which transported us to the other side of the land. Long Xuyen was a simple but peaceful town. It was near to the border of Cambodia which was an hour drive away. There were little entertainment outlets there except for some LAN gaming shops, small karaoke places and only one supermarket. There were no cinemas, no fast food places, no high end shopping centres and no nightlife discos. It's authentic Vietnam at its best. Boy were the things cheap. Each meal cost me only about $1 Singapore dollars for a plate of rice with fish, vegetables, eggs or a bowl of noodles. You can get the popular French bread, Banh Mi at only 30 cents and an egg cost only 10 cents. Fancy a cup of coffee? It was only 20 cents for one without milk and 30 cents for one with milk. Most people who travel to Vietnam for a holiday will go to Ho Chi Minh city first then get a local tour trip to the Mekong river. If you're planning to travel to Vietnam, good news is that it's certainly an affordable if not cheap place to have a holiday. Local tours are very cheap. I did get one at US$12 for 2 days one night for a mekong river trip. This was inclusive of accommodation and breakfast. Yes you did not hear wrongly. It was only US$12 for a 2 days one night tour. I couldn't believe it either when i heard this kind of price actually existed. Of course you have to expect the bus ride to be a little bumpier, a little old and some change of buses along the way as they hand you over from one tour bus to another. That's how they do it there and i guess that's why they can offer such cheap rates. Along the way, you get to meet people from all different kinds of nationalities. I met an Israelite, some families from the US, some from Europe and some from Hong Kong etc etc. The food in Ho Chi Minh city is not as cheap as in the more rural towns and villages. Cost can be 3 times more than the rural places. Average cost for one bowl of noodles was $2-$3. Of course you still can get cheaper ones if you have it at roadside stalls which are apparently nicer. 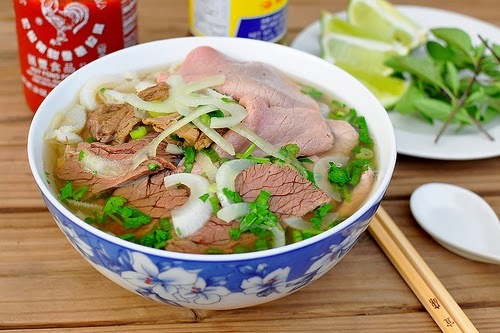 A simple bowl of Pho Bo (Beef noodles) can cost as low as $2 in the city and $1 in suburban towns. If you want chicken noodles, order Pho Ga. 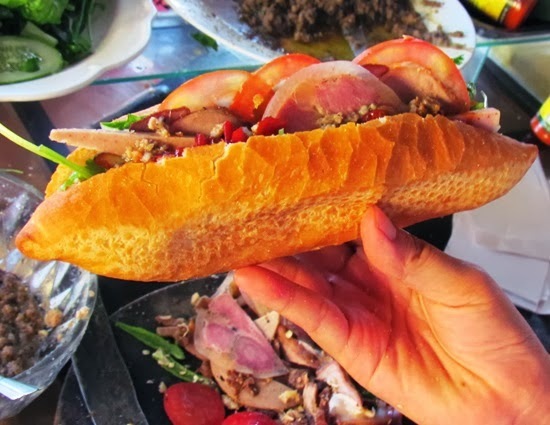 This is called Banh Mi(French bread). Simply the best in Vietnam. Can cost as low as 30 cents in small towns and 60-80 cents in the city. 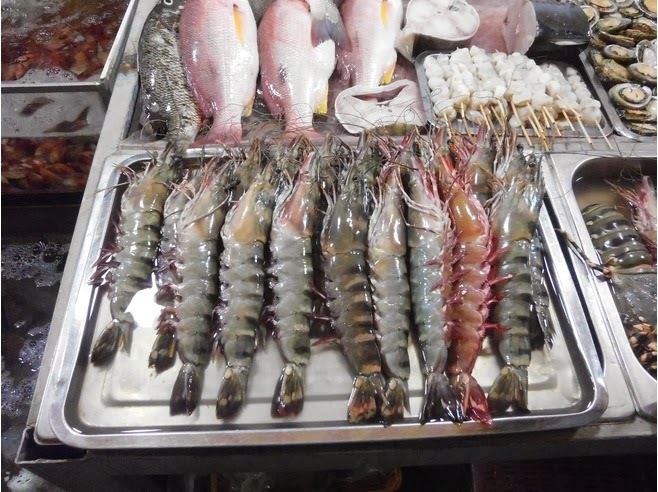 Seafood is relatively cheap in Vietnam too. Big prawns are common on the street side stalls. Most of them are barbecued then served. Crabs and various shells like cockles are common on the streets too. 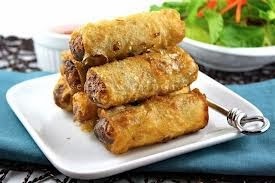 This is the popular Vietnamese fried spring roll called Cha Gio. I prefer this to the non fried one which is called Bo Bia. 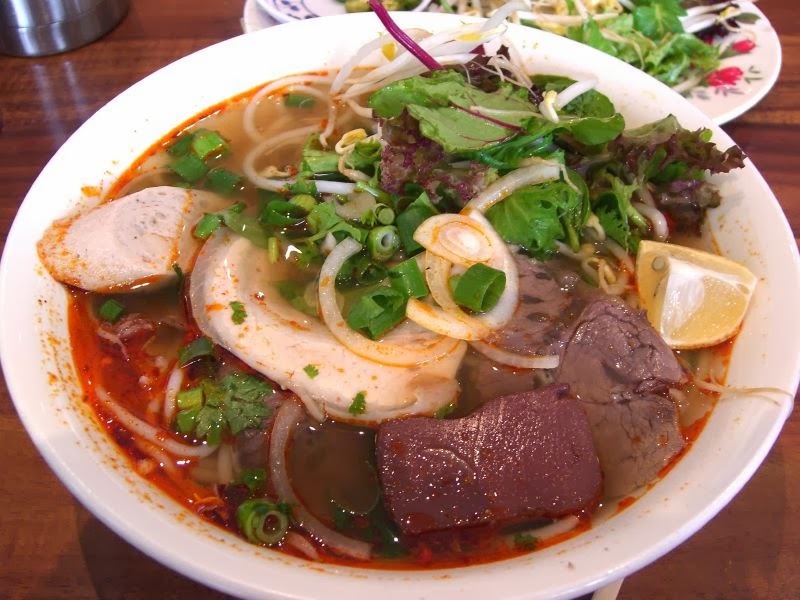 This is called Bun Bo Hue. Beef noodles in slightly spicy base. Also can cost as low as $1 in rural places and $2 in city areas. The thing about Vietnamese food is the ingredients are fresh. The bread is fresh, the vegetables are fresh, the seafood is fresh too. The always have nice sauces and especially fish sauce to go along with your food. The Vietnam war was a fierce fight that happened from 1956 to the early 1970s. Some of the reminisces of war can still be seen in the country itself. Visiting to the war sites and war museums is a must do when you visit Vietnam. The most popular war area is the Cu Chi Tunnels which the Vietnamese have dug a series of tunnels to survive in the war. Here you can experience going into the small and narrow tunnels, see how they lived during war time and also have a try in firing some of the rifles including AK47. Next is the museum called the War Remnants Museum. Some of the US left over war planes and tanks are displayed in the museum. There's also a whole lot of information about the war there. Some of the stories were saddening. The suffering of the people during wartime was unimaginable. The Mekong river is a popular tourist destination in Asia. It is the world's 12th longest river and the 7th longest in Asia. It flows through China Yunnan to Myanmar to Laos to Thailand to Cambodia and finally to Vietnam. There are many local trips you can book from Ho Chi Minh City itself. You can either take the 2 days 1 night or the 3 days 2 nights tour. There are also one day trips available. There are lots to experience on the Mekong river trip. Want to experience the Kampong (Village) life which Singapore had in the 1950s and 60s? Then Vietnam is the place. Even have the chance to experience of taking a horse carriage. The rural lifestyle is a simple one. Somehow, its an escape for us city dwellers to relax and slow down from our fast and hectic lifestyle. Seeing the living conditions of these villages, it makes me realise how fortunate i'm to live in a better environment. They do not have the luxuries of life which we have in our urban city. Simple houses, simple meals and virtually no entertainment for them. They are just surviving day to day. If you want your kids to know how fortunate they are, bringing them to such places may well open their eyes to the world outside. They will began to understand not to take things for granted. Take a trip to Vietnam for an affordable and relaxing holiday. See the things you do not get to see in other parts of the world. The above is just the south part of Vietnam. For the North part of Vietnam, there are scenic places including the popular UNESCO world heritage site at Halong Bay. Read my trip to North Vietnam in the related post below. This was a movie introduced by one of my friends. It talks about the law of attraction. Somehow the main concept is what you conceive in your mind, you will receive it. It's quite a powerful movie and the concepts are so real in our lives. When I looked back at my life, I realised indeed that a lot of the goals I set in the past became a reality. When I was 16 years old in secondary 4, there was a motivation camp organised by my school. The instructor asked us what we want to become in the future. I said I wanted to become an engineer. Well, I didn't know why I said that during that time. However, it became a reality after 6 years and I've been working as an engineer for the past 3 years. There are other examples too. 3-4 years ago I became to conceive the idea of having passive income. Around the same time, I was looking at ways to make extra money from the internet after seeing some people doing it and thought it may be possible. I tried a lot of ways but it didn't worked out. I actually gave up and didn't even think about it for quite some time. Then now it actually became a reality. I'm receiving passive income from stocks and earning money through blogging from affiliates and advertisers. The start of this blog was a complete coincidence. I have never thought that one day I would become a blogger. It was the same idea conceived 4 years ago which lead to what happened 4 years later. This is the power of our thoughts which the movie talks about. Same thing if you have negative thoughts, most likely you will end up worse off years later. It really happens. Beware of potential scams when investing. Trouble is a friend or foe? There has been a small discussion on potential scams recently. I've written first on Gold scams in the past here. There was even a family that lost close to a Million in the Gold scam. So you may ask how do we know if it's a potential scam? One thing to take note is these companies may not look like scams at first. They actually promise the payout to investors and many got their promised interest. It's only after awhile that the whole thing collapse. Maybe that's their way of attracting more potential victims before disappearing into thin air. 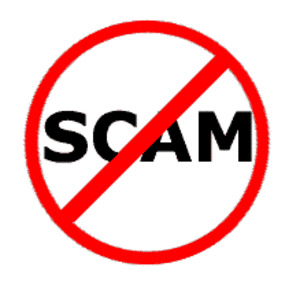 Most of these potential scams offer high return rates on investment. They can be in the range of 12% to 24% return in the period of 1-2 years. I can only say if something is too good to be true, then most likely it is. When faced with this, always question where they invest the money and how are they able to generate the returns? Is the business sustainable? Take the example of past scams like the popular sunshine empire. It promised high rates of return and you could get back all your investment capital within 10 months. That is a 100% return in 10 month. Sound too good to be true? "The Investor Alert List provides a listing of unregulated persons who, based on information received by MAS, may have been wrongly perceived as being licensed or authorised by MAS." What i can say is do not be greedy in investing. If there are doubts, question them and if you do not get satisfactory answers, its safer to stay out. There has been many overseas property investments recently which promised returns of 12% a year or even 24%. Some of these companies are on the MAS alert list too. I will not state them out but if you do encounter them, take extra caution. A nice song to end this post. Coincidently i was listening to this song and it sort of relates to this post. Enjoy! Trouble is a friend or foe? Don't let trouble be your friend. Starting a family of your own is part and parcel of life. It sounds interesting to get married, get your first house and then have children. It may seem exciting but it actually requires a lot of responsibility and commitment from both the husband as well as the wife. We all know that wedding and buying a house may be the 2 biggest expenses which we will face in our life. If we can have a glimpse of the cost involved and prepare in advance, then I think we can go through this process with our dearest more easily and with lesser stress. Wedding is a romantic event and owning your own house is a dream for many. These are both lovely events. The last thing we want is to quarrel with our spouse over money matters. With a little preparation, i'm sure we can indeed have a lovely and romantic time of our lives. I've researched on the various wedding and housing costs which is required for any young adult planning to settle down and start a family. I hope this will help you in preparing for the 2 biggest event of your life. The wedding below is an estimated cost of a typical Chinese wedding with banquet. Does this cost sound shocking to you? If it is, then you're not prepared for a wedding. I guess this is the average cost most couples will incur for their weddings. $43k is the minimum for an average wedding with banquet. For weddings, of course you get Ang Baos (red packet) from your guest and relatives. If each guest gives $80-$100, then you'll get back $24,000-$30,000. Cost of wedding after collecting Ang Baos: $19,000-$26,000. This is just an estimate as how much your guest will give really varies. It is hard to know exactly how much red packet you will get. So, always factor in that you may get lesser red packets. Those who've read my blog earlier would know that I have a blog post on the estimated cost of buying a 4 room HDB flat in Singapore. For convenience sake, I will just list down the upfront cost which you may need for your new house. Down payment for your house can be paid by CPF. If you have the 10% down payment already in your CPF ordinary account, then you do not need to fork out additional cash. Still, after paying for the down payment, typical cost for your new home will be around $23,000 to $35,000. This is the cost that is expected for starting a family in Singapore. If you're planning to get married and buy a house, have you got the amount of savings in cash already? Do you have the $30,000 in your CPF OA account? The above cost does not factor in the Ang Baos money that you'll be getting. I've excluded it because you will not know how much Ang Bao you will be getting. Any amount you get back is a bonus and this will be your extra savings for your new marriage. I don't think you want to start a new family with zero savings right? Most couples will have to share half of the cost each. So it's $38,000 cash for each person if they spend $76,000 in total. If you plan to get married in 3 years time, you'll roughly need to save $12,700 per year per person. This brings me to the point that you need roughly 3 years to prepare and save up in order to start a family. That's if you can save roughly $12k per year. If you can't, then give yourself a longer time to prepare. If you have a partner now, start talking about the preparation for the new life. For the guy who's serious about the girl you love, start planning and preparing now. Face up to reality that you need money for your new family which you're going to form. For the girl who's serious about the guy you love, plan together with your future husband. Sit down together as a couple and discuss on your new family plans. With proper preparation, you're on the way to a great new life. There will surely be lesser arguments when the time comes for you to get married and buy a house. What if I really can't afford it? The cost may be too huge for some people. Wedding can actually be cheaper and you can save a lot by sourcing for cheaper deals. The wedding banquet will be the most expensive among all the cost. So if you can't afford it, then go for a cheaper banquets at a restaurant instead of a hotel ballroom. Some may even prefer not to have the banquet and go for a simple wedding with lunch reception only. That's your choice. Some restaurants have banquets priced at $500-$800 per table. It may be a more affordable alternative. 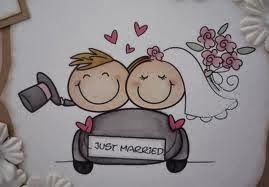 I know there are 2 years 0% interest free credit card instalment plans out there for your wedding. Even when you buy furniture from places like Courts, there are interest free instalment plans. It may seem like a short cut and an easy way out for many couples who do not have enough savings. However, remember even if you take the 2 years plan now, you still have to pay up the amount in the future. Let's say if you spend $76,000 in total and you take a 2 years interest free instalment plan. This works out to a monthly repayment of $3166 per month. Yikes. That's a lot to pay! Not forgetting you still have to pay $1000+ for your housing loan! Can you afford to pay $4000+ per month? I hope you get the idea from the example above. 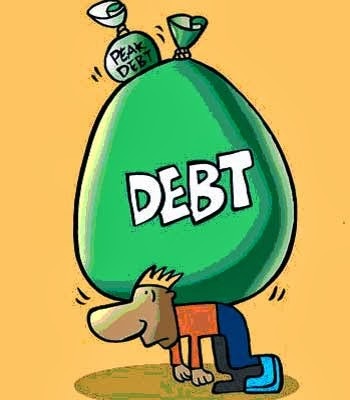 Debt is a burden and in the event if you lose your job, you'll be in greater trouble. But anyway you can't take on too much debt now as the Monetary Authority of Singapore (MAS) has restricted the total debt you can take to be 60% of your gross monthly income. This includes your housing loan, student loans, credit card debts etc. Definitely there is a lot to plan for the 2 biggest event of your life. Give yourself roughly 3-4 years to plan beforehand. Don't wait till its too late and you succumb yourself to take the short cut of taking on massive debts. Financial problems can be avoided. A family that manages finances well will be a happy family. P.S: Have you got married recently? Share your experiences by commenting below. How much did you spend on your wedding and on your house? Are there any tips on cheap and good deals? Are there any mistakes you've made before? Let other readers know so that everyone can learn together. Share this article with your friends who're planning for their new life. 2. How much money does a couple need to earn in order to afford a $300,000 HDB flat? Where does the free money come from? The guest author of this blog post is Mr. Torgny Persson. Torgny is the founder and CEO of the Singaporean company BullionStar.com where you can buy gold and buy silver. Torgny is also the founder of the Swedish bullion dealer LibertySilver.se as well as the Estonian bullion dealer Liberty Silver.ee. Torgny has a Master´s degree in Economics and has 10 years experience as a gold market expert and bullion dealer. 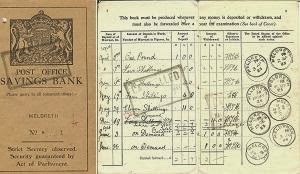 As a kid I was always fascinated by the interest appearing in the savings book at the end of the year. Yes, I am actually old enough to remember the physical savings book. I was eagerly going to the bank with my piggy bank the 2nd of January each year to find out how much free money I was going to get. Where is the free money coming from? I have a Master's degree in Economics. I'm sometimes asked to share my best advice to prospective students considering Economics as their major. Don´t do it. Yes,don't do it is my advice. Even so, I'm proud of my background as an economist. It has taught me a lot about how the world isn't working. I have to tell you that advanced economics was the starting point for a turnaround in my economical thinking. My first years studying micro- and macroeconomics was a lot of fun. Demand and supply. Carbon paper logics of the world. I was thrilled. A lot of logical reasoning theorized. I enjoyed it. It opened a new window of reasoning for me. The latter years were also amusing but not because of the logics of economics. It was amusing because the economic models got more and more far-fetched. What started out as modelling the behaviour of people ended in obscurity. Take a professor in economics. A man with a lot of respect and authority. Seldom much real life experience. After reviewing too many increasingly unrealistic and illogical studies by his colleagues, he (because it is often a male) feels that he can come up with something equally abstract. A couple of peer reviews, a sweaty seminar and a journal publication later, and he can collect the membership card to the economics admiration club. To learn economics, self-studies are much superior to institutionalist studies. Mises is an excellent organisation teaching real life economics. For news coverage, there´s Zerohedge. By keeping to these sources you can learn much more about economics in a month than in four years at university. Back to my original question. Where does the interest come from? It´s as simple as it is enthralling. The money for the interest didn´t exist before it was credited to the account. The interest is a mere book-keeping entry creating money. Interest, like money, is not a tangible. Most of it doesn´t exist in physical form. In Singapore, only 5.5 % of the money supply exists in physical form. In the US, the equivalent number is about 7 %. In Sweden, where I originate from, the banks are pushing strong for a cashless society, with the result that only 4 % of the money existing as notes and coins. When a bank is extending a loan to a borrower, where does the money come from? Depositors you may say. Wrong. Only a fraction originates from the depositors. All banks have much less deposits than money loaned out. The money is simply created out of thin air. It is lent into existence. Our current monetary system making this possible is called fractional reserve banking. With fractional reserve banking, a bank only needs to have a small fraction in reserves and can loan out create money out of thin air. How much is USD 17.4 trillion? With the stock markets like the S&P 500 index setting new records by the day, many financial journalists have a positive outlook on the economy. And sure, compared to many other economies, the Singaporean economy is strong. But what if we look at the major underlying economies of the world? What has changed since the financial crises in 2008? Sure, the consumption rate is higher but what does that tell us? If you look at the figures, there´s some scary information embedded. Western economies like the US is deeper in debt than ever before. USD 17.4 trillion. How much is that? Well, it's SGD 22 trillion. Hey wait, there's no such thing as SGD 22 trillion. The total money supply in Singapore, even calculated broadly, is only SGD 0.5 trillion. The US national debt is thus 44 times all Singapore dollar currency in existence! I don't know how much a billion is as I can't really comprehend numbers like that. We as people are not equipped to understand trillion, quadrillion or billion figures. Money is supposed to be a unit of account, a frame of reference. USD 17.4 trillion is so out of touch from reality that not many even seem to notice how underwater the developed economies are. How does gold come into the equation? History shows that gold is keeping its value and purchasing power over time. Gold cannot be created out of thin air. Gold is no one's liability. What if you put away SGD 1800 in a safe deposit box and left it there for 20 years? What would happen to your purchasing power in those 20 years? Judging from the history of unbacked fiat-money, there would be a loss in the value of the money. What if you instead deposited 1 oz of gold in the safe deposit box. 1 oz of gold today cost about SGD 1800. What would happen in 20 years? The gold would likely increasing in purchasing power being worth much more in 20 years. Why? Because it has kept value for 6000 years. Gold can´t be created out of thin air. Gold is a tangible asset in high demand but in limited supply. 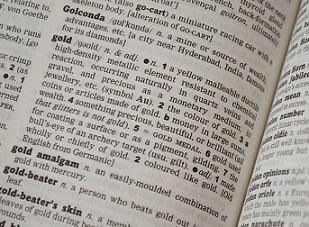 Gold is the superior metal because of its metallic characteristics such as being dense, soft and malleable. Gold is wisdom. Gold is a return to the safety of the past. Gold is a way to sleep tight at night - Gold is money! At BullionStar, we are proud of our price competitiveness, integrity and service. We treat our customers with utmost respect and confidentiality. We aim to offer the lowest prices for bullion in Singapore. If you choose to store your precious in our storage solution called My Vault Storage, storage is free until 2016! If you are looking for further information about precious metals, please browse BullionStars articles section which cover topics such as precious metals, monetary economics and general economics. - The Singaporean government is aiming to create a regional trading hub for precious metals in Singapore.